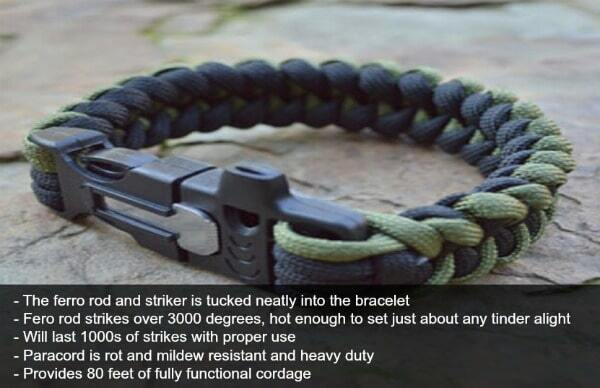 You’ve probably seen paracord bracelets before, but not one that’s like the FireKable paracord survival bracelet. This is a triple impact EDC tool…and right now it’s yours absolutely free! 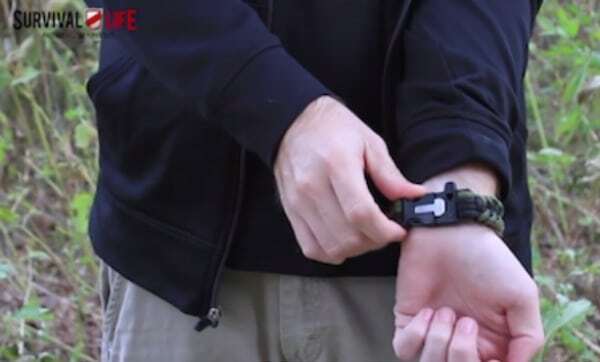 This clever and possibly life-saving tool fits discretely on your wrist. The FireKable paracord survival bracelet provides over 80 feet of fully functioning cordage that’s ultra durable and resistant to rot and mildew. Tucked discretely inside is a ferro rod and striker. So, if you find yourself in a survival situation and need to start a fire, you’ll be equipped. The ferro rod strikes hot and burns hot, lasts thousands of strikes, and is easy to use. Put it this way, if you can strike a match, you can start a fire with the FireKable. Get your own FireKable paracord survival bracelet from survivallife.com (while supplies last).